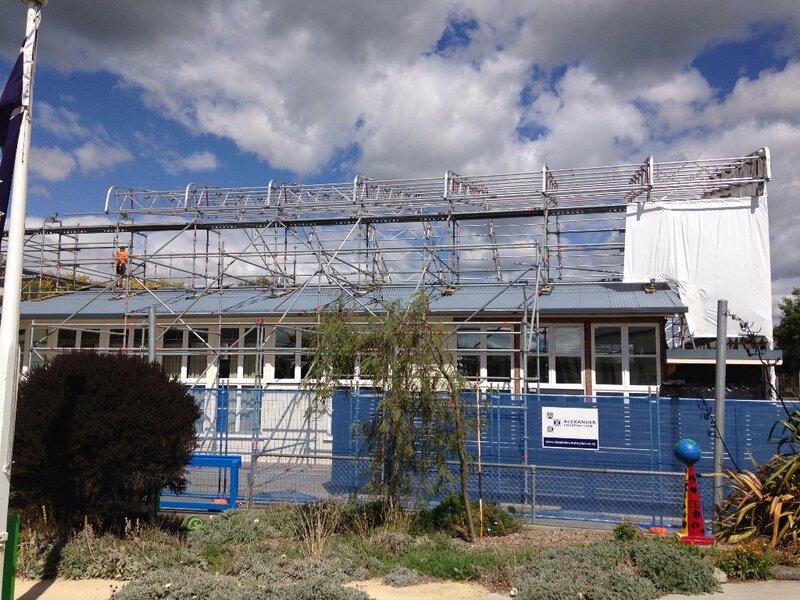 Scafit provided a complete enclosure solution to ensure this project was watertight during the winter months. This was of major importance as the building was still being used by the school's teaching staff. Layher's Keder roof system which Scafit stocks was by far the best solution for a time efficient and highly effective result. With a Layher Allround base right around the perimeter of the old building the roof went on without a hitch. Mike and his crew did a fantastic job laying out the base of the scaffold and attaching the roof (with a little help from a McIntosh's crane). Also thanks to the team from Absolute Wraps for shrink wrapping the remainder of the scaffold.